Home » How Soon Can You Ovulate After a D&C? One of the greatest fears that all parents face during the early weeks of pregnancy is a miscarriage, and rightly so, as it occurs in nearly 10-20 percent of known pregnancies. In some cases, like my own, you may not need medical intervention, but there are other situations that require women to undergo a procedure called a suction dilation and curettage (also known as a D&C). It is common for parents to both decide to wait after a miscarriage as well as attempting to conceive. If your desire is to continue trying for a baby, how soon can you do it? How soon can you ovulate after a D&C? If you are one of the women who has undergone a D&C, it’s likely that your doctor also gave you information on the hCG (or human chorionic gonadotropin) levels in your body at the time of the procedure. The level can vary for women depending upon a number of factors-- how far along you are, whether you are carrying one baby or more, and a few other things. It is recommended by healthcare professionals that mothers wait to try to conceive again until their hCG levels have returned either to zero or are undetectable by a test. This time period can vary as well, though the American Association for Clinical Chemistry states that the average time span for it to return to zero is anywhere between 9 to 35 days. This does not mean that it is impossible to ovulate before then. In fact, a woman can become pregnant the very next menstrual cycle after a miscarriage, but there are a number of reasons this isn’t suggested. If you attempt to conceive again soon after a miscarriage, there is a chance that you will receive false positives on both ovulation and pregnancy tests, as both tests are capable of picking up hCG present in the body. Most pregnancy tests claim an hCG detection threshold between 6.3 to 50 mIU/ml. While ovulation tests are used to determine LH (or luteinizing hormone), both LH and hCG are glycoproteins. Therefore, hCG can trigger a false positive on an ovulation test as well. If you do get a positive result after a miscarriage, your doctor may be concerned that the result is due to your previous miscarriage or believe that it is being caused by a second miscarriage. Many doctors urge patients to wait to conceive again because, despite their desire to conceive, the pain of losing a pregnancy can often be very great for some couples. For many, the issue is a hidden one and isn’t often discussed by couples, and these emotions can flare up in bouts of anxiety during the early stages of the next pregnancy. In cases that require D&C intervention, there can be underlying medical issues. Those who have experienced ectopic pregnancies or similar issues often need to wait for their bodies to adequately heal in order to give them the best chance at having a healthy pregnancy. Many doctors suggest a healing period of two to three months for situations like this. If you were actively trying to conceive before your D&C, then it’s likely that you know about the number of tools that can increase your chances to conceive. Whether you choose to wait for the suggested period of time or attempt to become pregnant again shortly after your loss, there are some items and apps that can assist you in becoming pregnant. This app can you help track your cycles. You can also buy ovulation tests and pregnancy tests in bulk online that dramatically cuts down on the cost of regular testing. There are also a number of online forums and Facebook groups dedicated to women trying to conceive that can offer emotional support and advice. While most doctors are still likely to recommend the two month waiting period after a miscarriage, new studies have shown that the women who did not choose to wait have had success in getting pregnant again and many were able to have healthy babies. In fact, it’s likely that you know some women that have had this very outcome, although they may not have chosen to share about their loss. In addition, if you choose to seek out fertility support groups, you’ll likely find even more stories of couples who have conceived after loss and D&C. 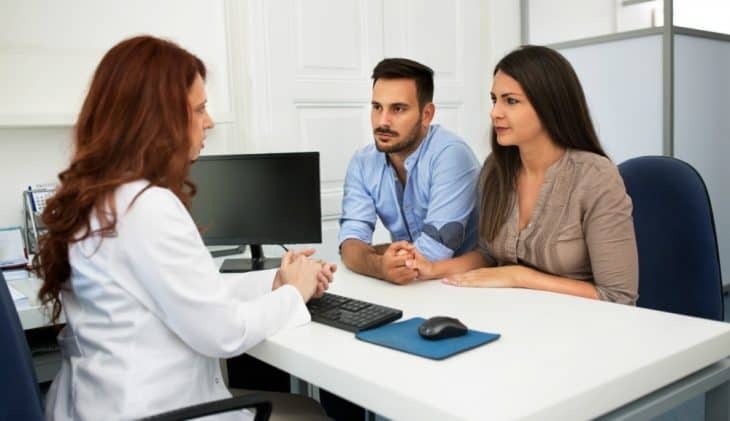 No matter your decision, it is always best to discuss your options with your doctor as results and suggestions can vary from couple to couple depending upon health concerns, etc. If you found this to be helpful, or you know someone that might find it so, please feel free to share with friends and family.